Anyone can join in. Just answer the following F.R.I.D.A.Y. questions based on the book you’re either currently reading or have just finished reading. 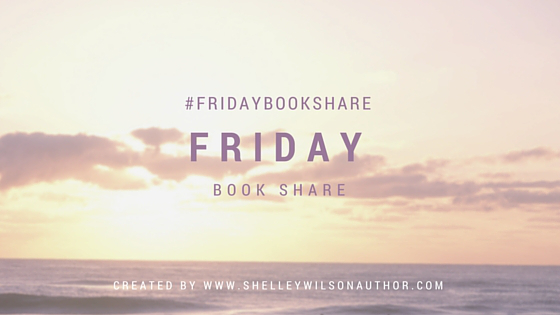 Use the hashtag #FridayBookShare and remember to tag Shelley (@ShelleyWilson72) and me (@CathyRy) so we can read your posts. I’ve just started The Wild water series by Jan Ruth, three full length novels in one. I love being able to read a series straight through without waiting for the next instalment. First line ~ As Mondays went, it was the worst Jack could ever remember. Blurb for the first book ~ The tragedy and comedy that is Jack’s life; secrets, lies, long lost loves and family ties. Jack Redman, estate agent to the Cheshire set. An unlikely hero? Or someone to break all the rules? Wild water is the story of forty-something estate agent Jack, who is stressed out not only by work, bills and the approach of Christmas but by the feeling that he and his wife Patsy are growing apart. His misgivings prove founded when he discovers Patsy is having an affair, and is pregnant. At the same time as his marriage begins to collapse around him, he becomes reacquainted with his childhood sweetheart, Anna, whom he left for Patsy twenty five years before. His feelings towards Anna reawaken, but will life and family conflicts conspire to keep them apart again? The main character ~ loveable, sympathetic, funny. Audience appeal ~ I think this would appeal to most people. It’s contemporary fiction and encompasses the, sometimes stark, realities of relationships and families, with all the involved and complex emotions. Favourite line(s) ~ They’d loved each other from being small until they were eighteen. Jack had always stuck up for her when she got called the white witch, because she had three bottles of aromatherapy oil and could do an Indian head massage. Thank you, ladies, much appreciated! Short, sweet and to the point. I like zippy reviews. This one ‘takes the cake.’ 😀 Thank YOU. You are in for such a lot of pleasure, Cathy, and some angst! Ooh, I’m loving it so far!